Pawn Blu-ray Review Although the finished product is a fairly routine “whodunit”, the drip-feeding of information and genuinely surprising twists raises Pawn above the comparatively mediocre attempts that the film has inexplicably been lumped in with. As midnight closes in one, a late night city diner is suddenly held up by a trio of British thugs. Led by “The Brit” Derrick (Michael Chiklis doing his best Cockney impersonation), initially they seem to just be after some quick and easy cash, but it soon becomes apparent that this unassuming little diner may be housing something a whole lot more valuable than just patrons wallets and watches. After demanding that the owner (Stephen Lang) open the diner’s safe, Derrick reveals knowledge of a second hidden safe that, unbeknownst to his accomplices, contains a hard drive with some delicate information stored upon it. Things are complicated once it’s revealed that although there is indeed a second safe, it’s on a time lock and cannot be released until the stroke of midnight; forced to continue the assault on the diner until the lock is released, the motivations of key characters are slowly revealed via flashbacks and revisiting the same scenes from different perspectives. The cast also includes Forrest Whitaker as a police officer who finds himself in the wrong place at the wrong time (Or does he? 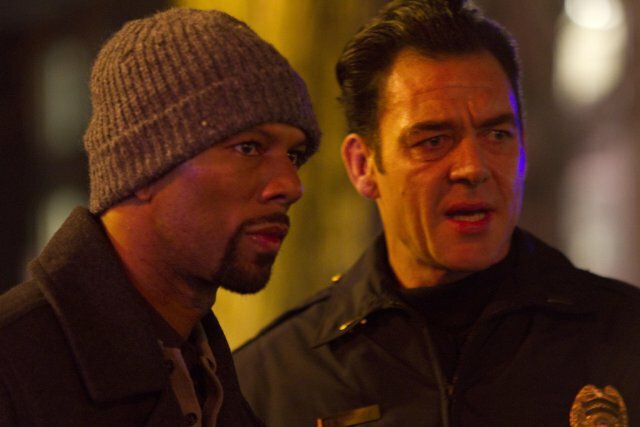 ), Ray Liotta as an enforcer with ambiguous allegiances, Machiavellian police officer Barnes (Martin Csokas), Rapper Common as a police negotiator and Sean Faris as recently released car thief Nick, who find himself trapped in the bathroom when the hold-up takes place. 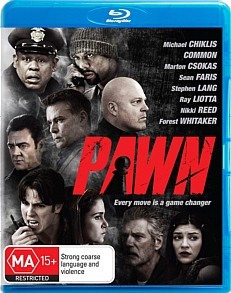 Helmed by first time director - and highly regarded cinematographer - David A. Armstrong, Pawn isn’t the most auspicious of debuts but serves as a competent, if slightly needlessly over-stylised crime thriller. For the most part the cast performs quite well, with only Common’s performance and Derrick’s lines seemingly being cribbed wholesale from “Lock, Stock and Two Smoking Barrels” being the main sticking points. 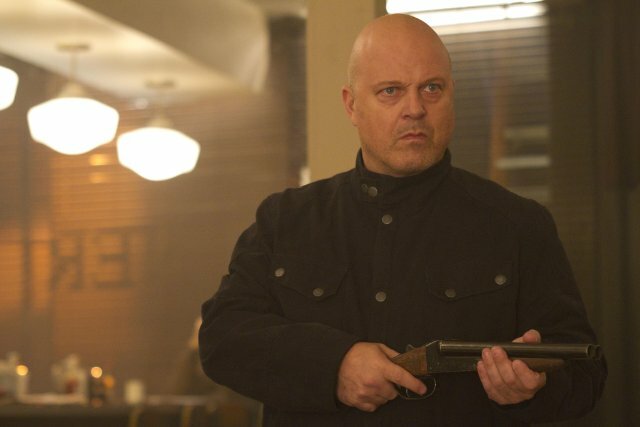 Liotta and Whitaker’s performances are as dependable as always, and Faris is proficient in eliciting empathy for his character; some of the bigger names could be considered to be slightly underused, particularly Nikki Reed’s character, but by far it is Chiklis’ vicious Derrick that serves as the lynch pin that holds the entire cast together, eclipsing many of the weaker points with his commanding presence. The film’s main drawcard is its unconventional narrative; the story for Pawn is relatively straightforward but the way it’s presented can be a little disorienting. The non-linearity of the story can be dismissed as a blatant effort of making the plot appear more intelligent and convoluted than it actually is, but for the most part it’s pulled off with a deft hand. The multiple plot strands slowly start to form a cohesive whole in a measured display of expositional restraint, with a consistent undermining of previous assumptions keeping the audience on its toes. Sure, some of the characters conform to preconceived archetypes, particularly Nick, but they’re imbued with a humanity that serves to create an emphatic bond, whether it’s sympathy or dislike. Far from the strongest entry in the genre, Pawn still manages to stand out from a glut of similar films due to some commanding performances and its engaging slow reveal of the plot. Pawn has a nice little transfer that highlights fine detail superbly without sacrificing any sharpness of image or compromise in colour balance. Textures visually pop, with hair, skin detail and clothing fibres resplendent in their detail and black levels are suitably inky. The colour palette has a muted aesthetic that translates well to the film noir setting; there’s no evidence of banding and only a few notable instances of very light image noise. Audio is presented in Dolby TrueHD 5.1 and is robust enough to competently support the visuals. Channels are clearly delineated and the soundtrack is used to create suitable impact; dialogue is crisp, clean and consistent with its sound levels. Overall Pawn has an extremely proficient transfer that maintains the high quality of Anchor Bay’s releases. 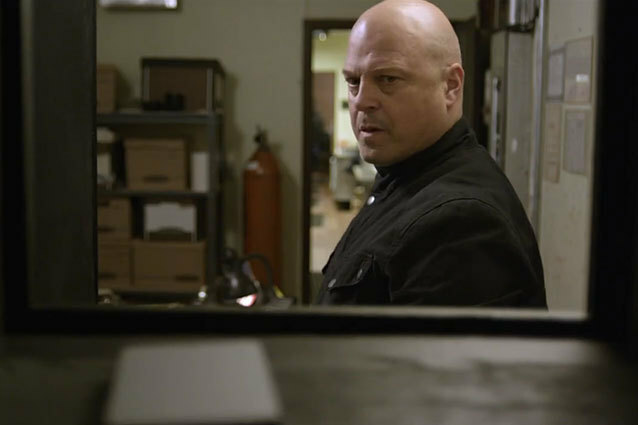 There is only one additional feature on this release, a fairly comprehensive “Making-Of” that covers the usual ground of character and plot motivations and what attracted the cast to the project as well as Michael Chiklis’ experiences producing his first feature. Although nothing groundbreaking, it’s an enjoyable featurette that serves as a nice accompaniment to the film. For some reason Pawn seems to have copped quite the sledging in regards to reviews, which is surprising as I found it to be a tightly wound and engaging little thriller, maybe nothing particularly unique or mind blowing but certainly more than worthy of my time. Ironically, the film’s strongest point can also be considered its greatest flaw, with the disjointed narrative as likely to deter viewers as it is to engage them. 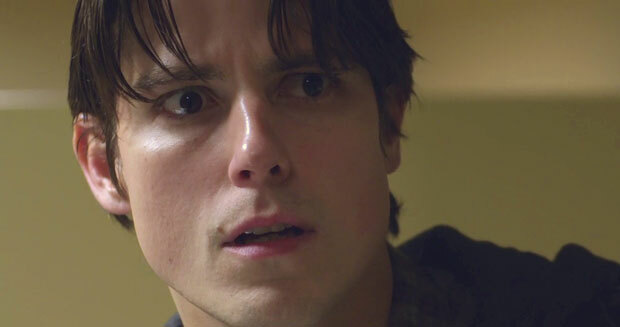 Although the finished product is a fairly routine “whodunit”, the drip-feeding of information and genuinely surprising twists raises Pawn above the comparatively mediocre attempts that the film has inexplicably been lumped in with.